We're headed up to the hideaway. It's not likely, but we're hoping it'll look like this when we arrive. This photo was taken 2 years ago. 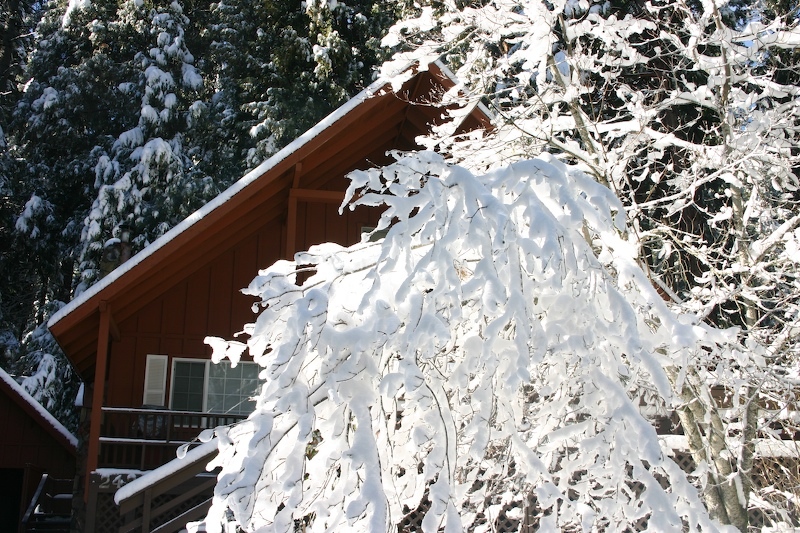 California relies on the snowfall in the sierras and last winter we didn't get much. So far this winter, it's been pretty dry, too. It's suppose to rain/snow the next few days so we're hopeful. We'll miss you when you're gone. Your chance to get away from it all! but the fire is so delightful..."
Have a good time at the Hideaway, Mad. Looks beautiful! Have a great time!